Polystachya bella wild #1077 (approximately 25 seedlings per flask). The Species: This grows at elevations from 6000 to 6400 feet in rain forests in Kenya and Uganda. the fragrant flowers are long lasting and about 1 inch wide. 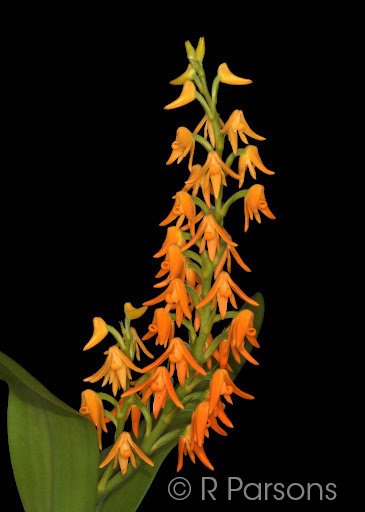 They opened successively on a plant that is up to 8 inches tall. 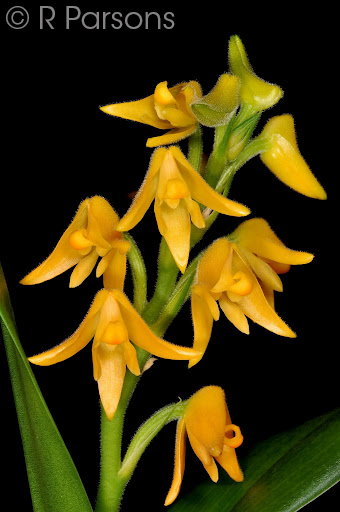 Culture: Polystachya bella can be grown either potted or mounted. It has done well for me potted in a fine bark mix in an intermediate greenhouse. It should also do well in cool-intermediate temperatures. I have always grown it with year-round water but it may benefit from a reduction in watering during the winter. I do not have images of the parents, but these are two representative clones that show the species.